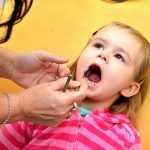 You’ve probably heard before that oral health is a window to your overall health. Your healthy teeth, gums and smile reveal not just what lifestyle choices you’re making right now, but also what could be going on in the rest of your body in other systems. And beyond being a window into other things going on, cavities, gum issues and plaque can also have direct consequences to your overall health. As if that isn’t enough to take your oral health seriously, there’s also the fact that, if you don’t take care of your teeth, you might be up needing some complex dental procedures that you would rather not need. We make all work done at our office as comfortable as possible for patients, but there won’t ever be a line out the door of patients wanting to sign up for root canals. Simple advice such as brushing and flossing your teeth daily can be taken for granted, because we all know how essential these are for a healthy mouth. But simple though it should be, data show that only 50% of Americans brush their teeth twice per day, one in three brushes their teeth just once per day, and there is even an 8.6% of Americans that brush only once every few days (Authority Dental). As a result, we can clearly see that, although information and advice about oral health is widespread, our oral health is often forgotten. Smoking and other tobacco use (including chewing and vaping) can cause all sorts of problems to your oral and overall health. Most consumers today understand that the risk of cancer, whether oral, lung or throat, are far greater for patients who smoke. But did you know it also affects your digestive system, which is intimately (and quite literally) connected to your teeth? Common symptoms among smokers like dry mouth lead to many problems that can improve immediately when tobacco consumption is stopped. You probably guessed that poor diet is in the list of factors that can make achieving oral health much harder. In particular, a diet loaded with sugary foods and drinks can promote cavities as well as gum disease. Did you know that more than 90% of U.S. adults have had a cavity, and about 50% of all adults aged 30 or older have signs of gum disease (according to the CDC)? Although we can’t see, feel, or taste them, there are more that 700 bacterial species inhabiting our mouth at any given moment (NCBI). Many of these bacteria feed on the processed sugars we consume and produce the waste products that cause cavities and other diseases. Apart from a proper diet, strong oral routines and doing what you can to quit smoking, let’s see what some of the other tips are that Ancient Medicine Today’s video has outlined in such fantastic detail. These are habits that you can apply in the comfort of your home, and which can help you maintain good oral health more easily and avoid future complications. We try to mention flossing as often as we do teeth brushing, because they really do go hand-in-hand. You’ve heard it before, but try just for a moment to pay the same attention you would to a juicy new fact in a trivia game, because we want this information to stick. According to a study by lead author Duong T. Nguyen, only 30% of Americans floss daily, 37% floss less than daily, and over 32% never floss. 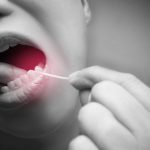 Flossing brings you all kind of oral health benefits, including keeping your smile bright, assisting in plaque removal, and preventing plaque build-up and the subsequent risk of gingivitis and gum disease. Flossing also reduces of bad breath and can make brushing your teeth more effective. So, the takeaway here is to always floss twice a day, right before you brush, to dislodge bits of food and clean the areas that your toothbrush can’t reach. On the same subject of gums and gingivitis, massaging your gums can also bring benefits to your oral health. 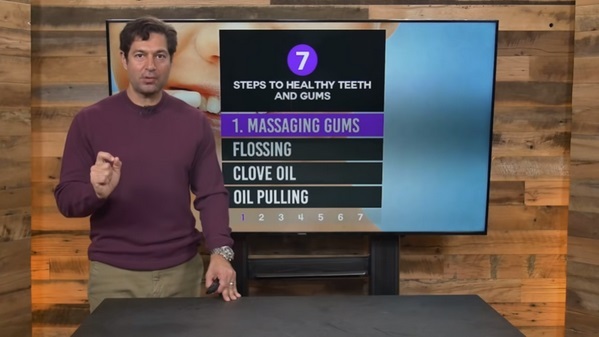 According to the Ancient Medicine Today video, massaging your gums can also help in plaque removal and the prevention of plaque build-up over time. They even recommend using a vibrating toothbrush to effectively massage your gums and ensure easier plaque removal and a sparkling white smile! Clove oil is a worthy solution to mention for its natural properties that help solve toothaches. Clove oil contains eugenol, a chemical that has anesthetic and antibacterial properties. This natural solution has been used in dentistry since the 19th century (MTN). 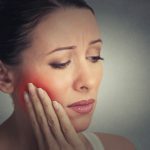 When you are hit by a toothache, dip a clean cotton ball into the oil and apply it over the gums at the point of the pain. In addition, you can gargle clove oil diluted with water, just watch the video above to see how it’s done. If you’re interested in similar options, other oils like coconut, sesame or olive oil are great ways to maintain oral health, too. According to many studies cited in the video, studies, these oils generate antioxidants which hinder bacteria growth by damaging the cell walls of microorganisms to kill them off. The microorganisms targeted include plaque-building bacteria responsible for dental cavities, gingivitis, periodontitis, and bad breath. These oils also help stop gum bleeding and can make your teeth whiter! 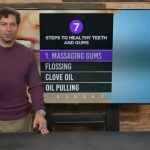 To apply these oils, simply swish a half or one teaspoon of oil in your mouth, and make sure you work it through all the areas between your teeth. After a few minutes, spit out and rinse your mouth well. This practice, called oil pulling, should be done once or twice a day, and it will naturally whiten your teeth and detox your mouth. Coenzyme Q10 or COQ10 can be found naturally in the body and is an important nutrient for gums that can have a positive impact in preventing gum disease and gum bleeding. COQ10 has anti-aging properties, too, and can improve exercise performance, heart health, and diabetes. A recommended dose of COQ10 is 90–200 mg per day. Oral probiotics introduce friendly bacteria to your system. They include living microbes and foods containing living microbes, all of which beneficially influence your health when used on a daily basis or even as-needed (NCBI). Studies have shown that specific oral health probiotics can prevent all oral issues including gum diseases, cavities, and even whiten your teeth. If you have questions about which oral probiotics to use, contact our office today. Wrapping up, oral health is important because it reflects your overall health. To achieve and maintain your best oral health, white smile and fresh breath, pay attention to your diet and daily habits, the frequency and consistency of brushing and flossing your teeth, and try out any of the extra tips mentioned in the article. And last but certainly not least, if you have issues or doubts, you should get in touch with your dentist immediately.